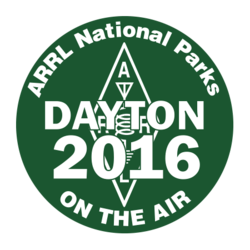 A new feature of ARRL EXPO at Dayton Hamvention®, May 20-22, 2016, will be "Discover the HF Experience" -- an exhibit and initiative for new operators and for those lacking experience with ham radio on HF. Comparable HF operating positions will be available, along with mentoring on how to make an HF contact. Anyone interested can book a 30-minute session, one to a guest, and no license is required. Experienced operators will be on hand to help. "Our priority is non-hams, new hams, or those who have not experienced HF operation," said Gerry Hull, W1VE, who established the Discover the HF Experience program with Cary Rubenfeld, VE4EA. Inaugural Discover sessions in early April in Winnipeg, Manitoba, and Framingham, Massachusetts, each attracted about 50 attendees. "More were long-time hams who spent more time on VHF than HF," Hull said. "Some had given up HF long ago and gone to VHF." Most of the visitors at both locations, however, were hams who already operate HF, but wanted a refresher. The initial sessions combined hands-on operating with talks on various aspects of Amateur Radio and of HF operating in particular. Hull said topics covered in supplementary talks at the Massachusetts session included radios, antennas, and where to find help and information. Due to time constraints, Dayton's Discover will offer just the HF operation component, and the program has been adjusted appropriately. Hull said a team "with great Elmers" will be at ARRL EXPO for all 3 days of Hamvention. Also for newcomers attending Hamvention, the League will sponsor the first-ever ARRL Youth Rally on Saturday, May 21, open to youth and young adults from 11 to 26. Register by May 1. The Youth Rally will feature a full program of hands-on ham radio activities, discovery, sharing, and fun! Recalling the Massachusetts Discover session, Hull said, "In working with the 'students' at the stations, it was readily apparent that a Technician license does not prepare anyone for HF operation, so we learned to explain more." Some operating techniques covered were pretty basic fare for HF veterans, but essential for newcomers to that part of the Amateur Radio spectrum. These included how to call CQ, how to respond to callers, and provide a signal report. "They did not understand the QSO sequence and other aspects," Hull said. "They were pretty green about HF -- more so than I had anticipated." Hull allowed that many, if not most, newcomers study for their Technician ticket by looking at the question pool and answers and probably not learning very much about hands-on ham radio. "Operating a station needs to be a mandatory step, not voluntary," Hull stressed. "My goal, and that of everyone associated with this idea, is to get people excited about HF." Hull had approached ARRL EXPO Manager Bob Inderbitzen, NQ1R, to propose bringing "Discover the HF Experience" to ARRL EXPO. "The exhibit ties in well with ARRL's recently adopted Strategic Plan and our goal to encourage members to get involved, get active, and get on the air," Inderbitzen said. Read more. The ARRL and Amateur Radio were well represented April 15-17 at the 4th Biennial 2016 USA Science and Engineering Festival in Washington, DC. Scientists, engineers, educators, and students attended the premier science, technology, engineering, and mathematics (STEM) event, where major academic learning centers and research institutes joined forces with corporate partners and government agencies to bring the excitement of leading-edge learning, fun, and discovery to communities. 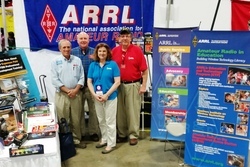 "Amateur Radio volunteers from the ARRL Maryland-DC Section assisting at the ARRL booth -- graciously funded by Lee Ciereszko, N4TCW -- were joined by ARRL Headquarters staff, and Atlantic Division leadership," said Maryland-DC (MDC) Section Manager Marty Pittinger, KB3MXM. "We had the pleasure of meeting numerous visiting hams from across the country and around the world. It was a privilege to share in this opportunity to network with many educators, corporate executives, military, and local civic groups -- and to share with them the multifaceted role that ARRL plays in STEM." Pittinger said the spacious DC Convention Center was completely filled with STEM-related organizations from across the US, many offering hands-on demonstrations. Estimates put the number of visitors at more than 365,000, and the ARRL MDC Section booth staff greeted approximately 4000 eager and enthusiastic visitors during the 3-day event, Pittinger said. "We demonstrated Lenz's Law with copper-pipe and neodymium magnets; MESH networks; Morse code, and emergency communications," he recounted. "We also offered information about the ARRL Teachers Institute on Wireless Technology, part of the educational STEM outreach by the ARRL to schools through its Education & Technology Program (ETP)." ARRL Education Services Manager Debra Johnson, K1DMJ, was on hand to talk about the Teachers Institute and answer questions. (L-R) Past MDC SM Jim Cross, WI3N; ARRL Atlantic Division Director Tom Abernethy, W3TOM; ARRL Education Services Manager Debra Johnson, K1DMJ, and MDC SM Marty Pittinger, KB3MXM. The FCC has put on public notice and invited comments on a Petition for Rule Making (RM-11767), filed on behalf of an amateur amplifier distributor, which seeks to revise the Amateur Service rules regarding maximum permissible amplifier gain. Expert Linears America LLC of Magnolia, Texas, which distributes linears manufactured by SPE in Italy, wants the FCC to eliminate the 15 dB gain limitation on amateur amplifiers that's spelled out in §97.317(a)(2). Expert asserts that there should be no gain limitation at all on amplifiers sold or used in the Amateur Service. "There is no technical or regulatory reason [that] an amplifier capable of being driven to full legal output by even a fraction of a watt should not be available to Amateur Radio operators in the United States," Expert said in its Petition. Expert maintains that the 15 dB gain limitation is an unneeded holdover from the days when amplifiers were less efficient and the FCC was attempting to rein in the use of Amateur Service amplifiers by Citizens Band operators. While the FCC proposed in its 2004 Notice of Proposed Rulemaking and Order in WT Docket 04-140 to delete the requirement that amplifiers be designed to use a minimum of 50 W of drive power and did so, it did not further discuss the 15 dB amplification limit in the subsequent Report and Order in the docket. "Although no party advocated retention of the 15 dB limit, it remains in place today," Expert pointed out in its filing. "In the intervening years, advancements in Amateur Radio transmitter technology have led to the availability of highly compact, sophisticated, low-power transmitters that require more than 15 dB of amplification to achieve maximum legal power output. Therefore, Expert seeks to remove the 15 dB limit from §97.317 so that Amateur Radio manufacturers and distributors will not be forced to needlessly cripple their amplifiers for sale in the United States." Read more. A co-leader of the recent VP8STI/VP8SGI Intrepid-DX Group DXpedition, this week said "a surprising lack of support and lack of funding from some of the world's paramount DX foundations" thwarted his group's plans to mount a DXpedition to North Korea. In "The P5DX Story" posted on April 25, Paul Ewing, N6PSE, said that years of negotiations had finally yielded a written invitation from the Democratic Peoples Republic of North Korea (DPRK) -- the most-needed DXCC entity -- to operate there. "We had hoped to be the first large DXpedition with clear and unambiguous proof that we were active within the country and with real evidence of permission," Ewing said in announcing the DXpedition's cancellation. The Intrepid-DX Group announced its "P5 Project" in 2013. With the recent intervention of an unnamed "emissary," Ewing said, North Korea "agreed to a 10-day Amateur Radio activity with three radios and up to 20 team members." Officials insisted on no advance publicity, and all involved were sworn to secrecy. "Our last major hurdle was that the DPRK was asking for a very large fee to be paid for the permissions at various government levels and ministries to operate from within the DPRK," Ewing recounted. The size of the requested fee, Ewing said, prompted him to approach several large Amateur Radio foundations for financial help. "All of our fees would be paid directly to a China-based tour company, and no direct exchange would take place with the North Koreans," Ewing pointed out. But the group was rebuffed. Ewing said he and co-leader David Collingham, K3LP, decided they had no other choice but to "drain our own personal retirement savings to provide the bulk of our funding." Money for various fees as well as equipment and air fare ran into the thousands of dollars. Then, word of the DXpedition plans leaked out, igniting an Amateur Radio media firestorm. A week before the team's planned departure, Ewing learned that the DPRK had denied him and Collingham permission to enter North Korea, leading to his decision to cancel the entire enterprise. "I could not devote a sizable chunk of my life savings for a project that I could no longer participate in," he explained. "The financial losses suffered by Intrepid-DX and all of our team members are substantial." 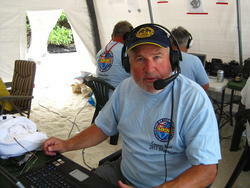 "This could have been a DXpedition for the record books," Ewing concluded. "But now we will never know." In subsequent comments, Ewing said, "The DPRK stated that the visas were not approved because the two Americans had talked to the media in violation of the directive that there be no pre-event publicity. Of course, this was not true, but the damage was done." Read more. This past weekend marked the end of National Parks Week. NPOTA Activators helped bring visibility to the parks with one of the most active NPOTA weekends yet. There are now nearly 295,000 QSOs in Logbook of the World for National Parks on the Air -- an amazing total. The National Parks Conservation Association (NPCA), an independent non-profit organization, wrote a great story about National Parks on the Air for its membership. Thanks to Jennifer Errick and Sam Chiron at NPCA for their coverage! ARRL is still accepting photos and video of NPOTA activations for display in the NPOTA ARRL EXPO booth at Dayton Hamvention®. E-mail with photos or information about your video content, and we will be in touch. Video should be HD, no more than 5 minutes long, have high production values, and tell the story of both Amateur Radio and the NPS unit being activated. Deadline for submissions is May 15. There are 56 activations on the schedule for the week of April 28-May 4, including the International Peace Garden (AA12) in North Dakota, and the Sand Creek Massacre National Historic Site (NS64) in Colorado. The Armed Forces Day Military/Amateur Radio Cross-Band Communications Test, sponsored by the US Army, Air Force, Navy and Coast Guard, will take place on Saturday, May 14. The event gets under way at 1200 UTC, with activity continuing throughout the day. Some military stations may not operate for the entire period. "New for Armed Forces Day this year, military stations and Amateur Radio operators are authorized to directly communicate on the 60 meter interoperability channels," US Army MARS Program Manager Paul English, WD8DBY, pointed out. This year marks the 66th Armed Forces Day (AFD), observed on May 21. The Military/Amateur Radio Cross-Band Communications Test is held earlier, in order to avoid conflicting with Dayton Hamvention®. The annual exercise is an opportunity to test two-way communication between amateur and military communicators. It features traditional military-to-amateur cross-band SSB and CW communication and offers an opportunity for radio amateurs to utilize modern military communication modes such as MIL-STD serial PSK and automatic link establishment (ALE). 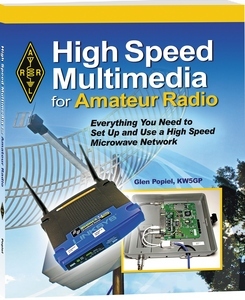 These tests challenge Amateur Radio operators and shortwave listeners (SWLs) to demonstrate individual technical skills and to receive recognition from military radio stations. The complete announcement -- subject to change -- is available on the US Army MARS website. Participating military stations will transmit on selected military frequencies and listen for Amateur Radio stations on selected amateur frequencies, which the military station operator will announce. Read more. "The area of high-speed microwave networking and multimedia allows Amateur Radio to take a giant leap forward in new methods of digital communication," Popiel said. "Through a blending of cutting-edge radio and computer technologies, a completely new frontier has been opened for hams to develop and utilize entirely new wireless networking technologies. The potential uses are endless, providing a powerful platform ideally suited for portable high-speed data networks, as well as tremendously enhancing the emergency communications aspect of Amateur Radio." "Does CW Really Get Through When Nothing Else Can?" is the topic of the current episode of the "ARRL The Doctor is In" podcast. Listen and find out! Every 2 weeks your host, QST Editor in Chief Steve Ford, WB8IMY, and the Doctor himself, Joel Hallas, W1ZR, will discuss a broad range of technical topics. You can also e-mail your questions to doctor@arrl.org, and the Doctor may answer them in a future podcast. The topic for the May 5 podcast will be "Open Wire Line." Radio amateurs across Oklahoma reported in on April 26 after SKYWARN nets activated in response to severe weather traversing the Sooner State, Oklahoma Section Manager Lloyd Colston, KC5FM, said. Thunderstorms, accompanied in some places by hail, raked the state. "Folks like Wade Norris, K5WPN; Dale Town, N5VX; Stephen Ellis, KG5ICZ, and Paula Cain, KD5JOC, plus WX5TUL at the Tulsa National Weather Service (NWS) Office, gathered reports meeting SKYWARN criteria," Colston said following the marathon session of storms. The storms and radio nets began in the afternoon of April 26 and continued into the early hours of April 27. The Amateur Radio volunteers' reports were added to those gathered from emergency managers, public safety agencies, and the public. 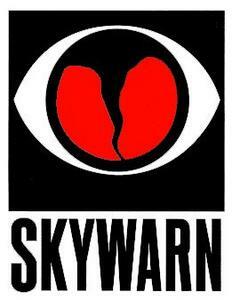 The NWS uses the information gathered via SKYWARN in developing its forecasts, watches, and warnings. Colston said that at least one net operated for 7 hours. Hundreds of Amateur Radio operators, most from California, Nevada, and Arizona, turned out March 19-20 to support communication for the 2016 Baker to Vegas Challenge Cup Relay (B2V). This year marked the 32nd anniversary of the event, sometimes called "The world's longest police foot pursuit." The relay event covers some 120 miles of remote territory, from the Mojave Desert near Baker, California -- the gateway to Death Valley -- to Las Vegas, Nevada. 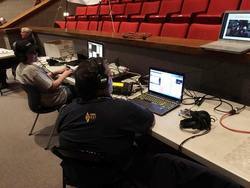 "This event allows the Southwestern US amateur community to showcase its abilities to the country's law enforcement community," ARRL Los Angeles Section Manager David Greenhut, N6HD, said. As in past years, Joy Matlack, KD6FJV, served as Communication Director, assisted by Margie Hoffman, KG6TBR, organizing the Amateur Radio communication support. This effort involves nearly a year of planning and preparation. The 2016 event hosted 264 law enforcement teams. 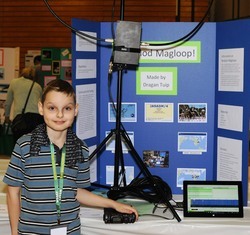 A 10-year-old ARRL member from Snoqualmie, Washington, took first place in his grade and division for a magnetic loop antenna project he entered into the Washington State Science and Engineering Fair (WSSEF). Dragan Tuip, KG7OQT, was among the more than 700 presenters at the fair, held April 1-2 in Bremerton. A 5th grade student at Yellow Wood Academy in Mercer Island, his project, "Modular HF Mag Loop Antenna," stemmed from his desire for a compact antenna to use in his room with his HF transceiver -- a flea market bargain. According to his dad, Martin Tuip, KG7HAX, Dragan built the antenna himself and successfully tested it by making JT65 contacts with Japan and Georgia. The 59th annual WSSEF marked Dragan's science fair debut. "When they called my name during the award ceremony, I was stunned! I was amazed!" he told ARRL. "I learned that not everything is always the best, and some things still have room for improvement. I had several people already ask me if they could buy the antenna." Licensed at age 8, Dragan wants to earn DXCC before he turns 11. He eventually hopes to market the antenna. The magnetic loop design he entered into the science fair consists of a 10-foot circumference loop of LMR-400 coaxial cable with a 2-foot circumference loop of solid copper and a variable capacitor for tuning housed in a central enclosure. According to Dragan, the antenna is usable on 40, 30, 20, 17, and 15 meters with a low SWR. The antenna can handle up to about 10 W for 100 percent duty cycle modes, and up to 15 W PEP for SSB. The need for an indoor antenna arose after his mom let it be known that she didn't want any new holes drilled in the house nor any more visible antennas. Dragan had seen some mag loop-style antennas in articles his dad had been reading and asked if something like that might fit in his room. "I told him that that size would work, and off he went to scavenge the house for parts to build a prototype," Martin Tuip said. "We had to order a capacitor for the prototype, and he built further upon that." Dragan did all the calculations for the wire lengths involved, he said. "He ran propagation tests using WSPR with my G5RV as reference, and the mag loop was about 80 percent as effective at a fraction of the size," Martin Tuip said. Read more. Three ESA "Fly Your Satellite!" Program CubeSats Now in Orbit and Transmitting: Three student-built CubeSats -- including the first to carry a D-STAR (Digital Smart Technologies for Amateur Radio) Amateur Radio payload into space -- now are successfully in orbit following an April 25 launch from Guiana. Signals from all three have been received on Earth. OUFTI-1 (Orbital Utility For Telecommunication Innovations), constructed by students at the University of Liege in Belgium (ULg), carries the D-STAR payload. The other two CubeSats -- e-st@r-II and AAUSAT4 -- are from Italy and Denmark, respectively. The three CubeSats were developed by student teams under the European Space Agency (ESA) Education Office "Fly Your Satellite!" program, which is aimed at training the next generation of aerospace professionals. The first three radio amateurs to send a recorded signal from OUFTI-1, AAUSAT4, or e-st@r-II will receive a prize from ESA's Education Office. Visit the ESA website for details. TAPR Dayton Hamvention Digital Forum to Include SatNOGS, HamWAN, SDR Talks: TAPR has announced the presentations for its Dayton Hamvention® Digital Forum, moderated by Scotty Cowling, WA2DFI, on Friday, May 20, at 9:15 AM. Among the presentions will be "SatNOGS -- a network of open source satellite ground stations," by Corey Shields, KB9JHU. The SatNOGS Project focuses on Low Earth Orbit (LEO) satellites. Shields will introduce SatNOGS as a way to increase the amount of CubeSat data that are collected and reported. Bryan Fields, W9CR, will present "HamWAN High-Speed IP Radio Network," an Amateur Radio high-speed IP backbone concept that uses the same techniques enabling the Internet. "SDR Disrupt" will be the topic of Chris Testa, KD2BMH, who will review the landscape and advancements in SDR technologies over the past year. Latest developments in digital voice will also be discussed. "Spectrum Monitoring with Software Defined Radio," by Mike Ossmann, AD0NR, will follow. More information about TAPR activities at Dayton is on the TAPR website. Collegiate Ham Radio Dinner Set for Dayton Hamvention Weekend: The Collegiate Ham Radio Dinner will be held on Friday, May 20, the first day of Dayton Hamvention®, at Little York Tavern and Pizza, 4120 Little York Road, Vandalia, Ohio. It gets under way at 6:30 PM. Magda Moses, KM4EGE, is organizing the event on behalf of the Virginia Tech Amateur Radio Association (VTARA). The Collegiate Ham Radio Dinner is a get-together of current and past collegiate ham radio operators, and anyone who shares an interest in college ham radio clubs and activities. High school students exploring college choices are encouraged to attend. For more information, contact Moses, (571) 355-8582. RSVPs, either by e-mail or at our Facebook event page, are appreciated, but not required. Tad Cook, K7RA, Seattle, reports: Over the reporting week of April 21-27, average daily sunspot numbers rose from 40 to 43.3, and average daily solar flux declined from 100.8 to 81.9. This is compared to the previous seven days. The average planetary A index dropped from 10.9 to 9.4, and the average mid-latitude A index rose from 8.9 to 11.6. Predicted solar flux is 95 on April 28; 93 on April 29-May 1; 92 on May 2; 90 on May 3-4; 95 on May 5-10; 100 on May 11; 95 on May 12-15; 82 on May 16-24; 80 on May 25; 82 on May 26-29, and 95 on May 30-June 6. Predicted planetary A index is 6, 14, 26, and 18 on April 28-May 1; 8, 6, and 8 on May 2-4; 5 on May 5-8; 18, 25, and 20 on May 9-11; 8, 5, and 12 on May 12-14; 5 on May 15-18; 12, 15, and 12 on May 19-21; 8 on May 22-23; 5 on May 24-25; then 10, 18, and 12 on May 26-28; 5 on May 29-30; 12 on May 31, and 5 on June 1-4. Spaceweather.com reports Earth will cross a fold in the heliospheric current sheet on April 29 or 30. "This is called a 'solar sector boundary crossing,' and it could trigger geomagnetic activity around Earth's poles," Spaceweather.com reported. "NOAA forecasters estimate a 60 percent chance of G1-class geomagnetic storms on April 29." Sunspot numbers for April 21 through 27 were 35, 22, 11, 46, 38, 65, and 86, with a mean of 40. The 10.7 centimeter flux was 76.8, 76.6, 78.7, 81.8, 81.9, 85.2, and 92.6, with a mean of 100.8. Estimated planetary A indices were 5, 13, 12, 11, 8, 7, and 10, with a mean of 10.9. Estimated mid-latitude A indices were 23, 13, 11, 11, 6, 6, and 11, with a mean of 8.9.